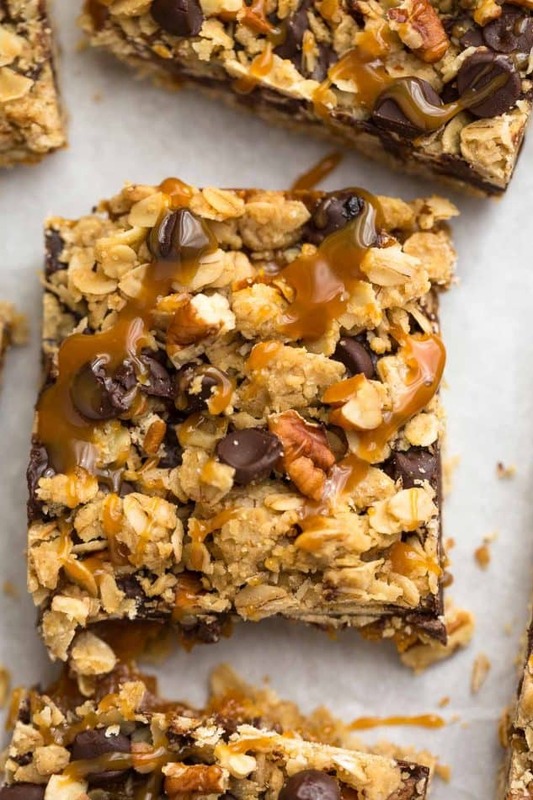 Oatmeal carmelitas are soft & chewy oatmeals bars filled with a gooey caramel filling and oozing chocolate. 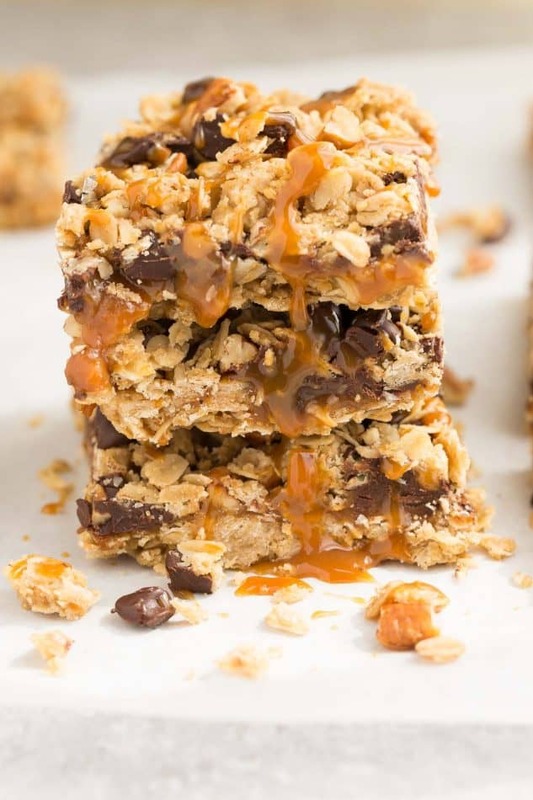 These bars are seriously so irresistible & perfect for sharing! 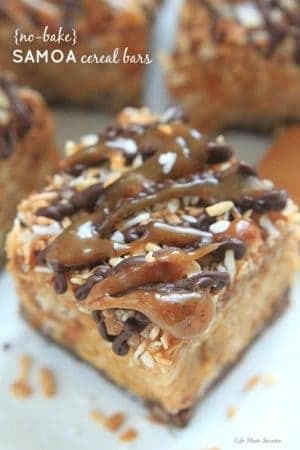 Carmelitas are one of my favorite all time desserts! 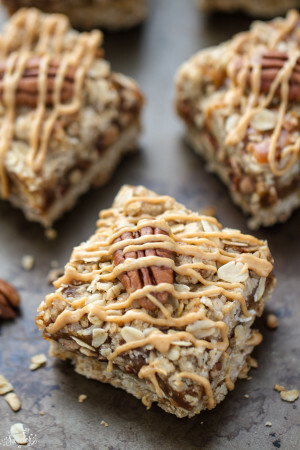 I have such a weakness for anything made with oats. 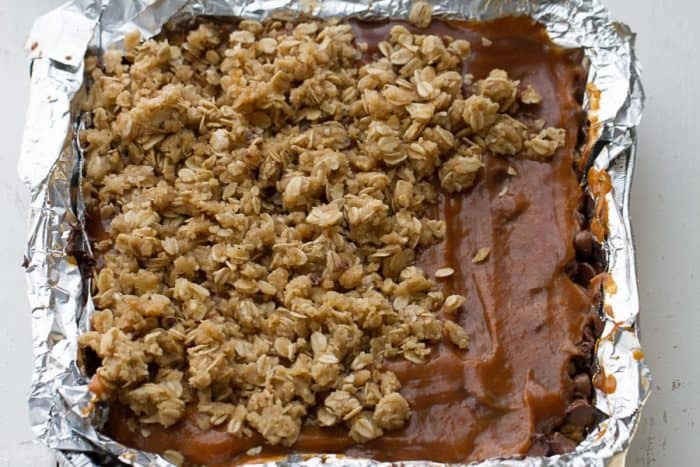 When you combine them with gooey caramel, melted chocolate and pecans….the combination is just pure heaven! I can still remember making these for the first time I made them for my husband. Seeing how fast he finished off the entire batch was the best feeling. This is saying a lot since he is not usually a fan of oat bars. Half is pressed into the pan and baked for 10 minutes as the crust, and the other is crumbled over the top. 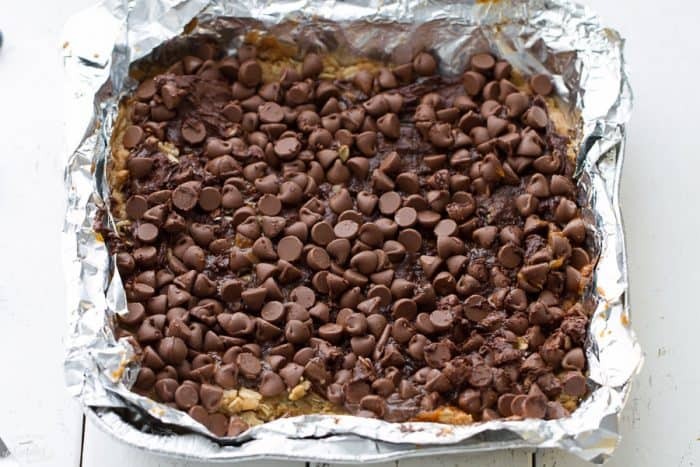 Once it cools, pour over the layer of chocolate chips, and crumble the reserved oatmeal mixture over the top. 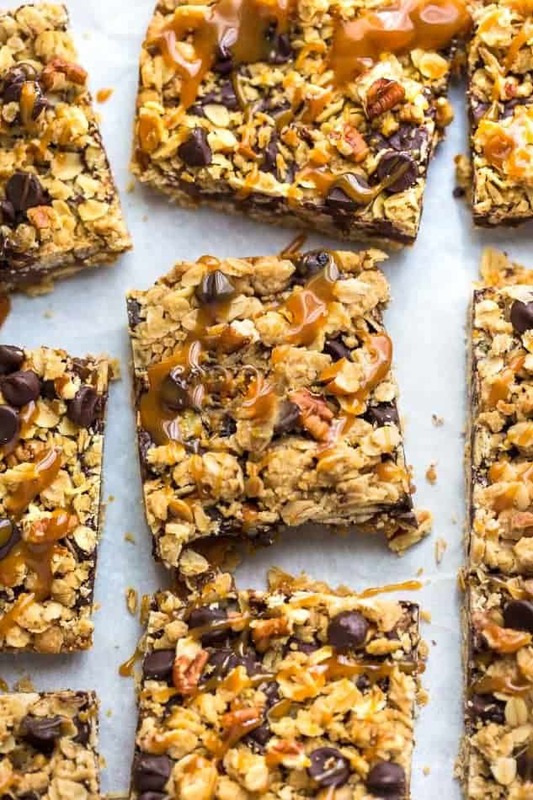 The hardest part is allowing these bars to cool completely before cutting into them. Or mjs toss them in the fridge or freezer so they set up quicker. They start to get a little bit drippy and gooey as they come to room temperature.